What's the easiest way to create a challenge with lead generation? Simple, refer to every form submission and new contact as a "Lead". When we refer to everything as a lead we lose sight and context of where the prospect is in the buyer's journey and what's important to them. We create confusion on how they should be communicated with and by whom. Internally, this also creates a huge headache with sales and marketing alignment. 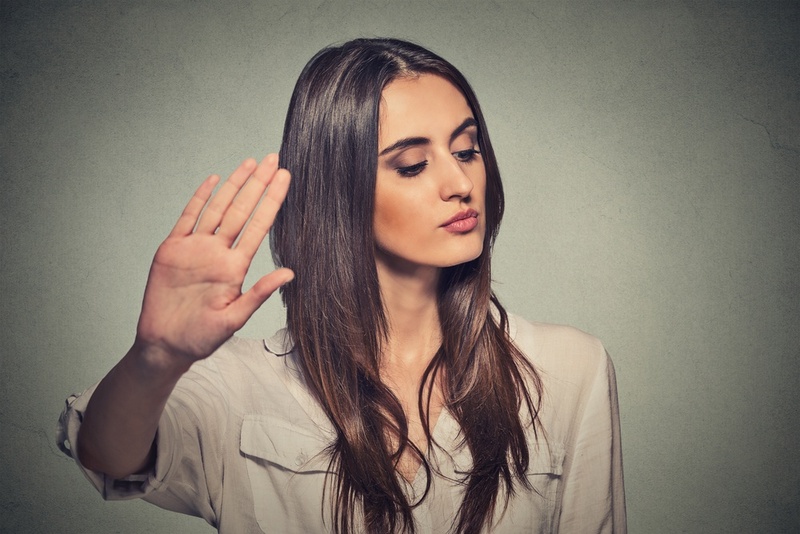 How many of us have run into the finger pointing between our sales and marketing teams? Marketing: We give you plenty of good leads, you just aren't closing them. This infighting is caused by the lack of a formal lead terminology framework and the nurturing/communication process that needs to accompany it. And that my friend, is what we are going to cover today. 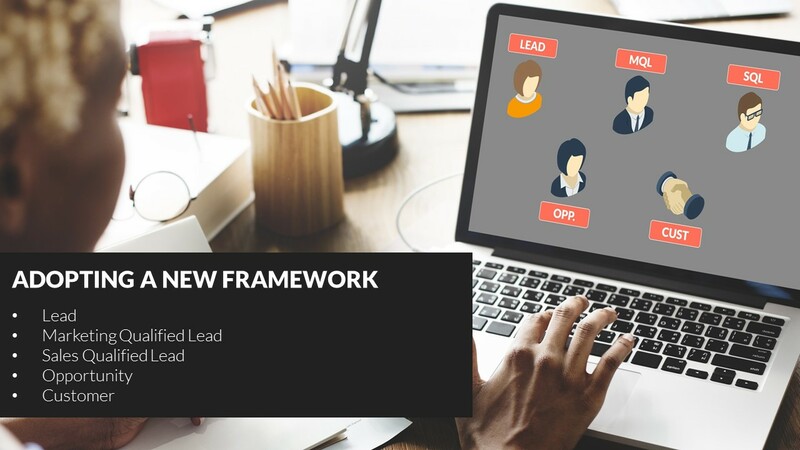 The presentation below explores setting up a well define lead terminology framework and lays out the roles and responsibilities for nurturing and communication. Enjoy! Hi, everyone. It's Kevin D'Arcy, Chief Marketing Enthusiast with ThinkFuel Marketing. And today's topic is can we stop calling everything a lead. What we're looking to do today is to introduce a new framework in terminology that you, your sales and your marketing teams should be implementing to cut down on the finger pointing and better serve your clients and prospects. And by this what we're referring to is that typical scenario where sales like to say that we don't get any good leads from the marketing team, and marketing says, "Oh, we give you lots of good leads, you're just not closing them." This is an all too common battle that most companies have to deal with, and we want to get to the root of where that misalignment is coming from, put some clarity and shed some light on the situation so that we can ultimately just serve our clients better. So, what is a lead? Well, if we asked a marketing person we'd probably get an answer something like a lead's anyone who fills out a form on our website regardless of what form it is. And we get their contact detail and that's a lead. Well, if you ask the sales team, they're probably going to say something to the effect of, "It's someone who wants to buy something from me. They want me to give them a quote or book a meeting with them. They're ready to engage." And what we can see is that these are very different definitions, and neither of them get really to the heart of what that customer is looking to achieve. So, the challenge here is that when we call everything a lead without further refining that terminology or those stages, then we're mishandling them. We're approaching them with the wrong information, the wrong content, at the wrong stages potentially. Or we're pouncing on them too early and trying to be salesy with them. So, what we want to do is talk about a new framework for helping to clear this up and make it easier for companies to understand where a prospect is in that buying process and what we need to be aware of and how we need to work with them and who should be working with them to move them through that process. The new framework that we're going to talk about is a series of steps that people go through from being a suspect on your website all the way through to being a customer. And these steps are lead, marketing qualified lead, sales qualified lead, an opportunity, and ultimately a customer. 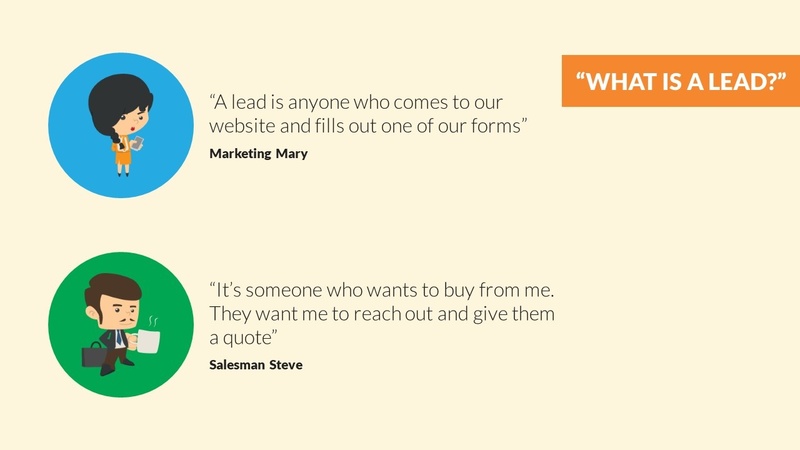 So, a lead is someone who's come to your website and filled out a non-decision stage form. They haven't provided a phone number or any indication of pain or challenges or opportunities that they might be having. So by a non-decision stage form, maybe they just downloaded a white paper or a checklist on a high level topic that you might be working with. A marketing qualified lead, somebody who's filled out, again, a non-decision stage form, so they're not ready to buy or have a meeting or try out a free trial of your software, again, we're looking at eBooks, white paper, things like that, but they have given you their phone number and they have started to indicate pain or challenge or opportunity that they're currently facing. So this could come in a variety of methods. 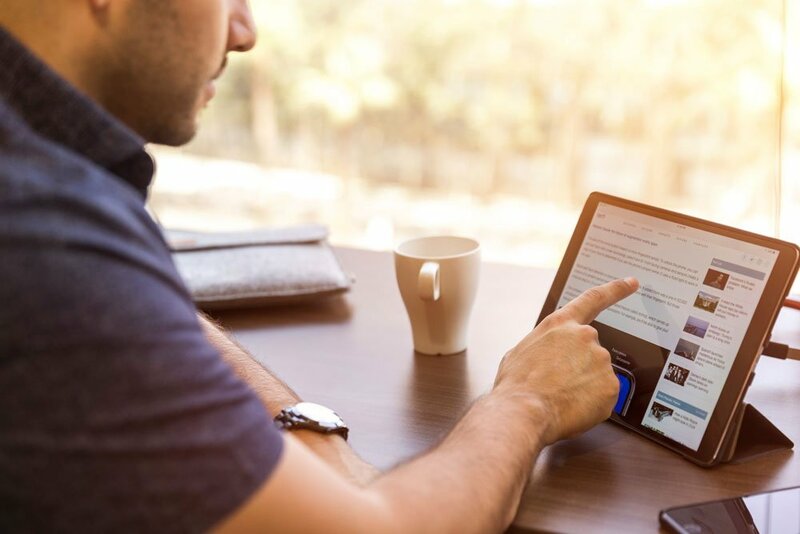 This could be if you're tracking what pages that they're on and that at more of pain-indicated pages on your site, or on your web forms, you might have a question that say, "What is your biggest challenge with X?" And X is whatever you sell. So people have to fill that in, and now we're starting to understand the challenges and the problem that this lead, this marketing qualified lead has. 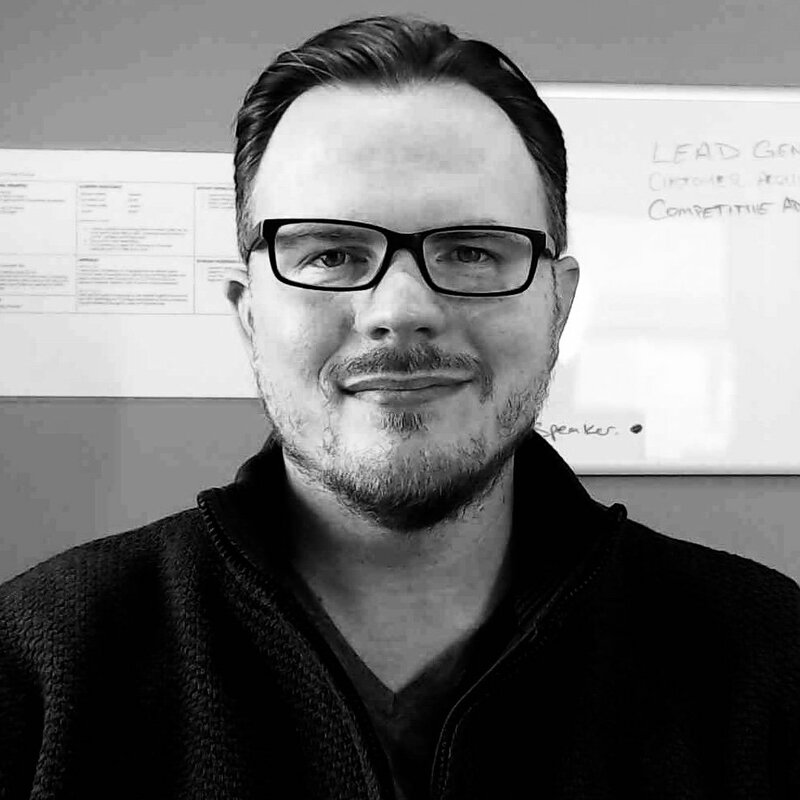 A sales qualified lead is someone who's filled out a decision stage form on your website. So this is somebody who wants to book an assessment, a free trial of your software, wants to get a quote, a contact us form, all those kind of traditional bottom of the funnel or decision stage forms. 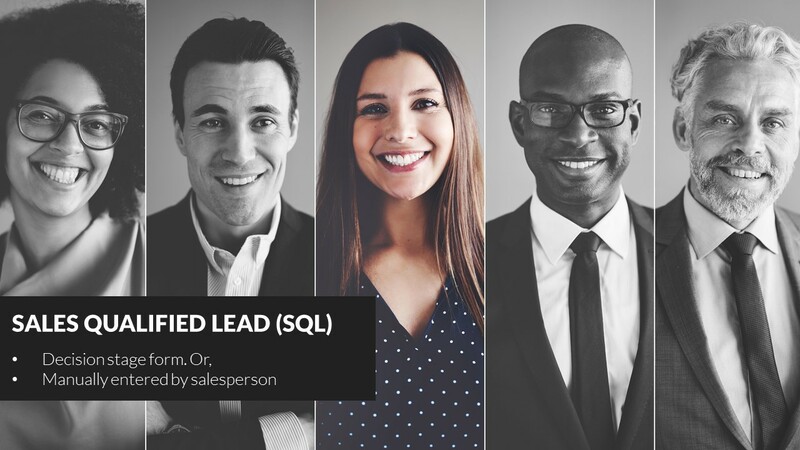 The sales qualified lead could also be somebody that a salesperson has manually entered into the system. So maybe they're out at a networking event or they got a referral from another customer. An opportunity is really simple. Once somebody's a sales qualified lead, and they move into the phase that we've qualified them for fit, need, timing, budget, all of those kind of great things, and they're going to enter into a sales cycle or a sales process with us. That's when they're qualified as an opportunity. And when we close those opportunities and we realize revenue from those opportunities, that prospect now is becoming a customer. So that's the initial framework that we want to talk about. We want to talk about leads, marketing qualified leads, sales qualified leads, opportunities, and customers. And it's important to use these terminologies, use these stages. You might have some different qualifying criteria that you work in at the different stages, but it's important to have these differentiated because what we're going to show you here in the coming slides. 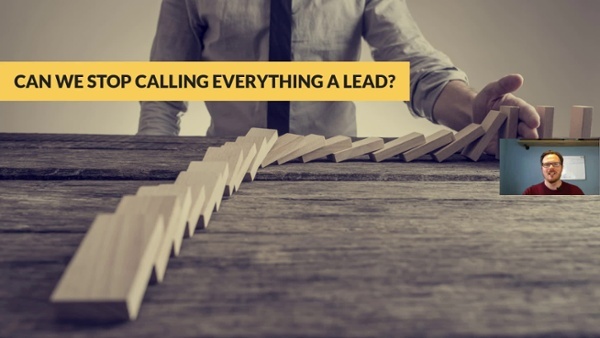 So, when we look at all these different stages of leads or qualification levels of leads, the next thing we need to do is to look at whose role and responsibility is it for communication, marketing, and pushing them through these stages. When somebody's a lead, a marketing qualified lead, and they enter into the sales qualified lead stage, that's when marketing is handling the communication. They're focusing their messaging on nurturing that account, educating them, being informative, but still working them through that funnel to get them ready to talk to a salesperson. This is where tools like marketing automation, products like HubSpot all come into play. Because we can use the automation tools in those to help nurture these people along. Once they've hit that decision phase, that's when we want to turn them over to a salesperson to further qualify them for need, fit, timing, budget, etc. to make sure that they are somebody we want to move into a sales opportunity and eventually close into a customer. So, it's really important that we understand that we're not putting somebody who just filled out a non-decision stage form with no indication of pain or phone number, and we're not throwing those people over to the salespeople and saying, "Hey, take this lead and run with it." We don't do that because salespeople, through no fault of their own, this is their job, they want to take that person into a sales cycle and close them. But that person probably is not ready to get to that phase yet, so having a salesperson engage with them too early is going to disrupt their process, their buyer's journey. And on the flip side of that, we don't want marketing to take them all the way through because marketing typically are not closers, they're not experts at qualifying people to be sales ready or enter into an opportunity. So this is kind of how we need to lay it out. And this gets to the root of a lot of the finger pointing. When we take a lead or an MQL and we pass it to sales too early, that's when sales says, "That person's not ready to buy. That lead was no good." Because they picked up the phone, called the person, and wanted to book a meeting, wanted to come in and give them a quote or a demo, whatever your sales process entails. And that's very off-putting to a customer who's not at that phase yet. So, I'm going to put a little asterisk here at the end of the process, the customer phase, because at the end when someone becomes a customer and your customer success, your customer service team takes over, those people do need to come back into the marketing fold as well. One so that we get a complete picture on the marketing side on what was a good opportunity or a good lead that went all the way through the process, how did they interact with our brand and our content and all those things. But then we want to continue to market to them for upsell, cross-sell opportunities. So with all that being considered, let's look at two statements that seem to be contradictory to one another. Research shows that 35 to 50% of sales go to the vendor who responds to that lead first. And prospects don't want to be sold to or pounced on right away. They need to go through their research phase and things like that. So how can both of these be true? Well, again, it goes back to those different stages and the buyer's journey. So let's take a quick look at the buyer's journey. So the buyer's journey is the steps of which a prospect goes through on their end when evaluating and researching a potential solution to a pain or challenge or opportunity. So where the framework of lead, MQL, SQL, and so on are internal steps in our internal framework for evaluating where they are in that marketing and communication phase, the buyer's journey is on their side. So it's how they're interacting with vendors, where they are in their decision making phase and so on. So the first step of the buyer's journey is awareness. And this is where somebody might be visiting your blog, they might interact with your brand through social media. They'll download high level content that addresses their challenge or of an area of interest to them. Maybe you have an eBook that says, "Are IT departments still relevant in the age of cloud computing?" Doesn't necessarily speak ... well, the title doesn't at least speak to specific area or challenge that somebody's having. It talks to sort of a higher level problem or challenge. And when somebody's at the awareness phase, they're looking to do research on their own. They want to collect information. They haven't defined the problem that they have yet. They haven't given it a name. And no, they don't want to talk to a salesperson at this point because they don't know what questions that they should be asking. They don't even really know what they're looking for yet. But the awareness phase I always like to say that there's multiple solutions to the problem that they're looking for. The consideration phase is when somebody has put a name to that problem that they have. They're still conducting the research, but now what they're trying to do is understand their different options that are available to them. 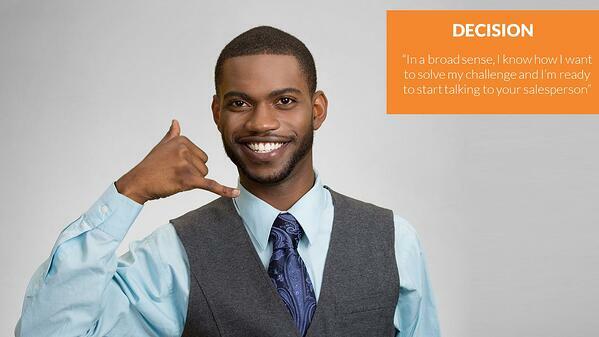 And they still don't want to talk to your salesperson. So this person's going to visit more of your product or service related pages on your website, benefits or feature guides that you might have, your about us, and any of your area of expertise content, so blogs, white papers, things like that. They're going to download what we call middle of funnel content that explores how the solution that you sell will address their pain or challenge. So, that might be a free checklist called Managing your Cloud Subscription Services. Because maybe I sell a tool that helps people manage their cloud subscription services. So I'm giving them a free checklist on things that they need to explore. Again, I'm not saying here's specifically our product and service. Here's a checklist to help you through that research phase. 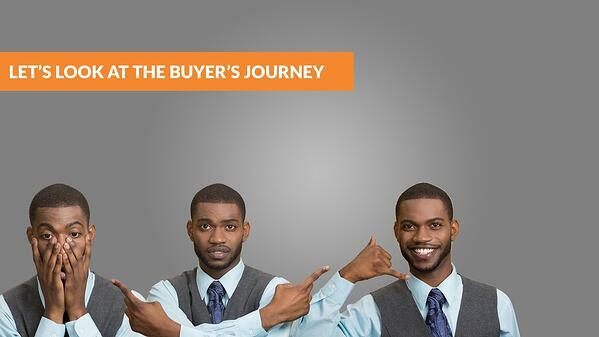 And the final stage of the buyer's journey is the decision phase. So, this is when in a broad sense they've given a name to their problem and they know how they want to solve it. I say in a broad sense because they don't know the specifics of how they're going to deploy a solution like yours and how it's going to be used, but they know your type of solution is right for them. And now I'm ready to start talking to a salesperson. 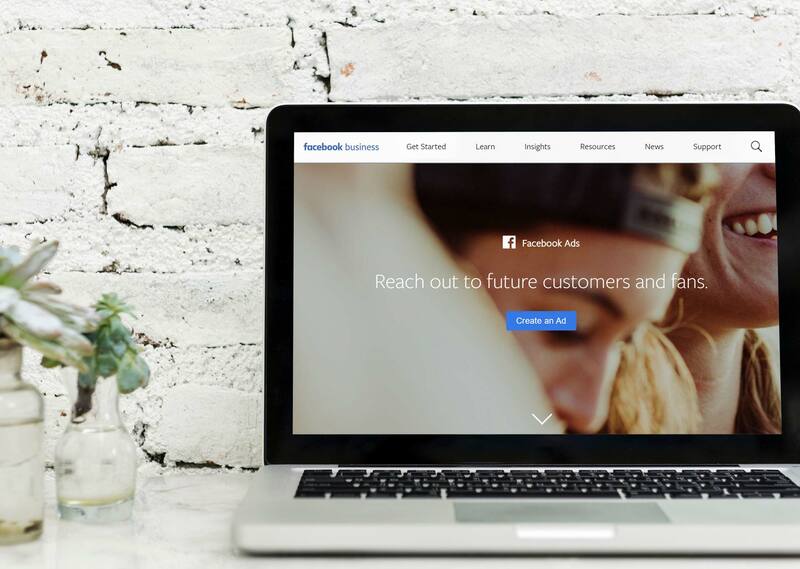 So buyers at this stage will visit your pricing pages, they'll look at case studies, your contact page. And this is where they'll fill out those decision level forms or bottom of funnel forms such as sign up for a free trial of our cloud subscription management suite. So, we'll come back to the original question of how can both of these statements be true. Well, the reason that they are and the way that you need to manage them all come back to when we lay the buyer's journey over that lead terminology framework. So, a lead is somebody who's typically going to be in that awareness phase. A marketing qualified lead is going to be in the consideration phase. 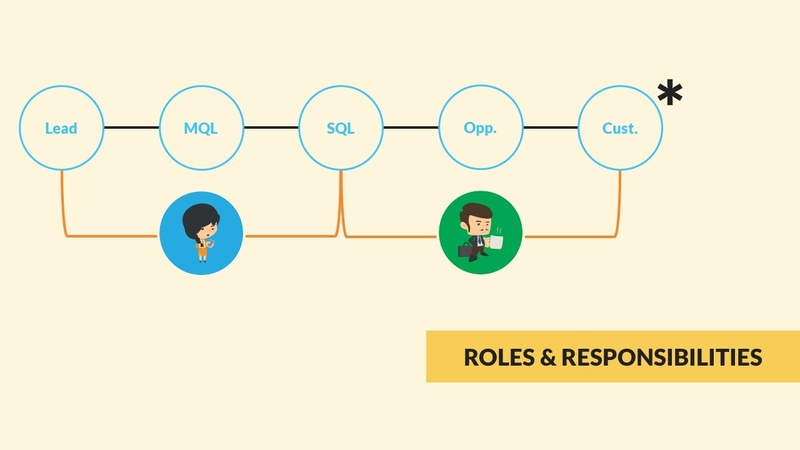 And a sales qualified lead will be at the decision phase. So, when we say that we need to respond to them in a timely manner, and the number is actually under five minutes in terms of how quickly we want to respond to them, but we need to respond to them with the content that's relevant to the stage that they're at. So, responding to somebody who's downloaded that high level awareness eBook that we have is not ready to be responded with, "Hey, let's book a five minute call and I can walk you through our software and show you a demo." They're not there yet. They don't even know if your solution is right for them. So what we need to respond to somebody at that stage with is information that might push them towards being a marketing qualified lead. Maybe we're going to send them out a link to download that checklist that we talked about as a consideration tool. So this is where we're going to respond to them and push them towards content that will help push them into a marketing qualified lead. And same with sales qualified. Again, once we've established that pain or that need that they have, or we've identified that through their actions with our digital content, we want to push them into being a sales qualified lead by encouraging them to sign up for a free trial, things like that. Where now we've qualified them as far as we can from a marketing perspective, and we're going to turn it over to a salesperson to take them into that sales process role. And again, at each one of these stages when somebody moves through, we need to trigger an action that's going to respond to them in a timely manner. 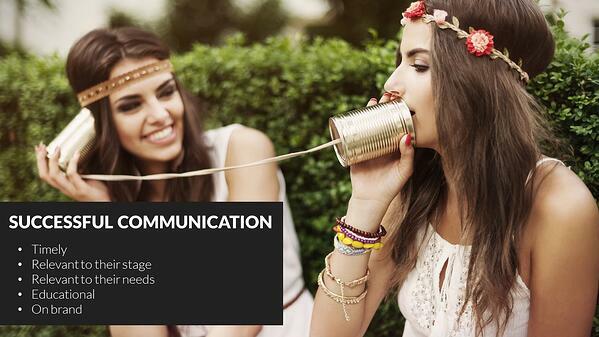 So let's look at successful communication. When we talk about those touch-points that go out, like I said, it needs to be timely, should actually be within five minutes of them completing a form or whatever action is going to kick start them receiving communication from you. It needs to be relevant to their stage like we just talked about. Relevant to their needs. So, if you sell a suite of different products or services, maybe you have a program that will work for finance departments, HR departments, for operations, and so on, if this person, if this lead is in the HR department, we want to be relevant to the HR needs. It should be educational and informative. We want them to see us as a trusted source of information to help them research and go through that buyer's journey. And it needs to be on brand. 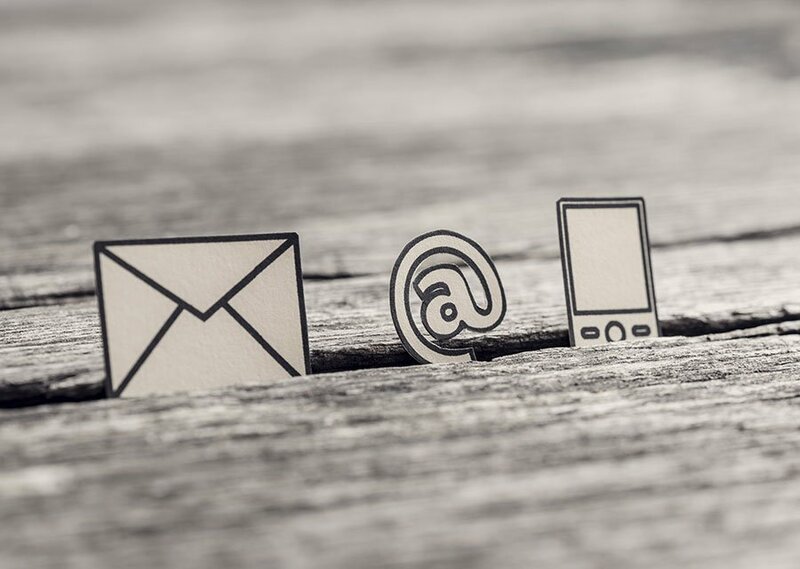 This sounds like an obvious thing if you will, but it's really important that the way that your content is written, the way it's presented to customers, the emails that go out to nurture them, things like that, all resonate with the brand and the messaging that a salesperson or a real life person's going to have when they pick up the phone and talk with them. If all of your communication is educational, informative, and helpful, and it's deployed in a lighthearted kind of fun way to the end users, and then when the sales rep finally picks up the phone and calls them and they're deadpanned and very matter of fact and just trying to aggressively push them into a sales cycle, that creates a huge disconnect and it breaks the trust and credibility that that lead has built up with your brand. Okay, so let's look at a couple examples of content that we could use at the various stages of the buyer's journey and the lead terminology framework. So, at the awareness phase where again I still can't define what my problem is, there's going to be multiple different solutions to it, you're trying to capture people early in that phase, we might have eBooks or white papers around transforming your finance function for productivity and insight. Or we might have one that's called "Five Trends that will Disrupt your Finance Function." So again, we're not specifically focusing on the solution or the service that we offer, although that will be outlined in your awareness pieces. It'll talk about how your solution products can address these issues. But we're attracting them in with very high level informative content. When they get to that consideration phase, this is where we might have more solution based articles, white papers, checklists, guides, things like that. So things like how robotic process automation is reshaping the way your finance does business. 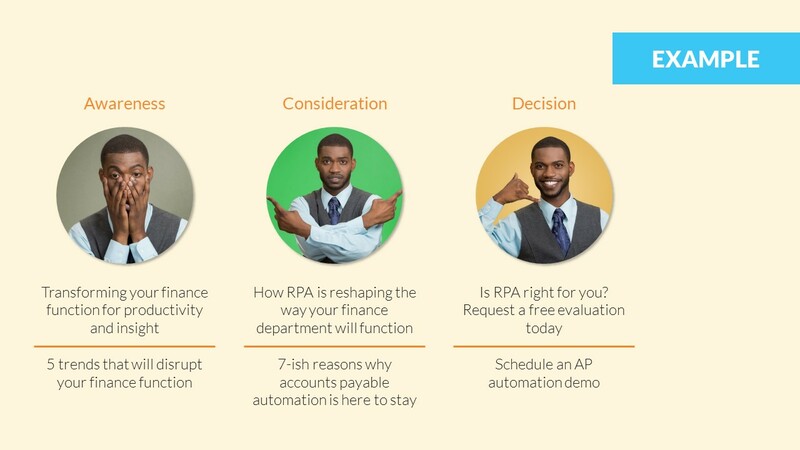 Or seven reasons why your accounts payable automation is here to stay. So things that take your solution, your services or products and overlay them on their relevant problem or challenge that they're having. And then when we get down to the decision phase, this is when we're going to have bottom of the funnel type conversion points, so things like is RPS right for you? Request a free evaluation. Or schedule an AP demo today. So, again, things where when they're ready to now engage with the salespeople, we have tools in place for them to do that. And to wrap everything up today, a couple takeaway items is let's all promise one another that we're going to stop calling everything a lead. We're going to implement that framework, that's lead, marketing qualified lead or MQL, sales qualified lead, SQL, opportunity, and customer. We have to own these terms, we have to define them within our organizations, and we have to do everything possible to make sure we stick to using that terminology. We need to put systems and tools in place so that we understand where our prospects are in these frameworks. We need to formalize the nurture process so that people get timely, relevant, and on brand content and communications sent to them. We want to make sure that we put the right message in their hand at the right time, so somebody who's filled out request a demo, we're not going back and sending something to them that's very high level, top of the funnel type content. And we need to respond with velocity and relevance. So again, first communication should be within five minutes of them filling out the form, be relevant to them, stop calling everything a lead, and go out there and happy selling.